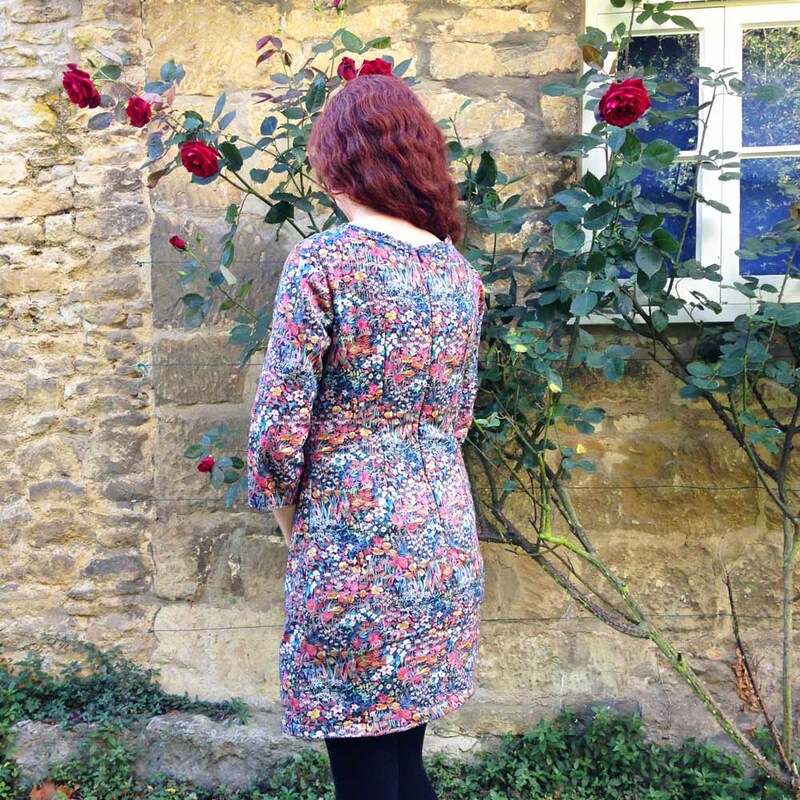 I recently had a chance to have a whole day of sewing and at the end of a very happy day of sewing I’d made this Floral Liberty Dress. It was such a treat to sit at my sewing machine and sew for me. I’m so often sewing until late at night finishing off a quilt project, so this felt a little decadent. Sewing without pressure is always a lot of fun. I’ve teamed it up with a colourful cardigan but there are so many colours in the fabric that there are many colours you could choose. It’s also really lovely to still see some roses out in bloom in the English autumn. The summer drought here meant that they got a bit confused and so after lots of autumn rain they have come back out to play. 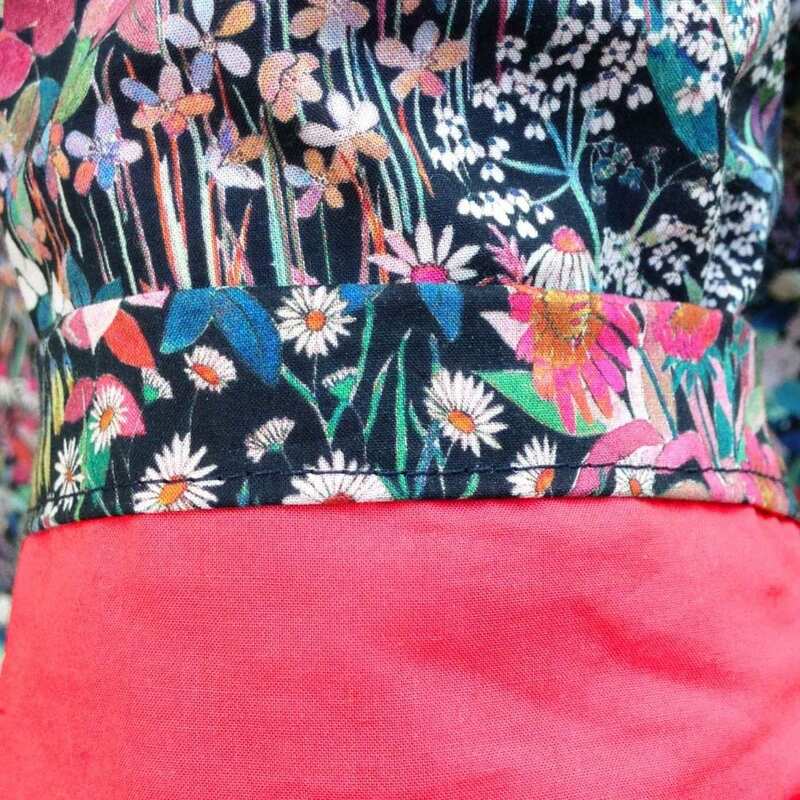 The pattern for the Floral Liberty Dress: It’s a Colette pattern called the Laurel Dress. It’s a really versatile pattern which works with pretty much any fabric. 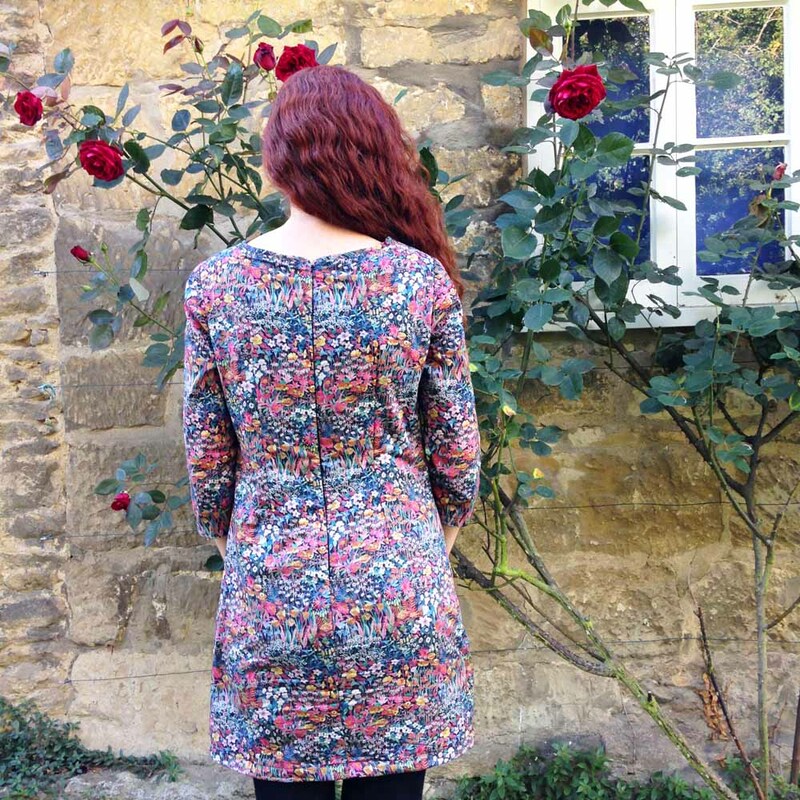 You could pick your favourite Liberty fabric and make this pattern work. 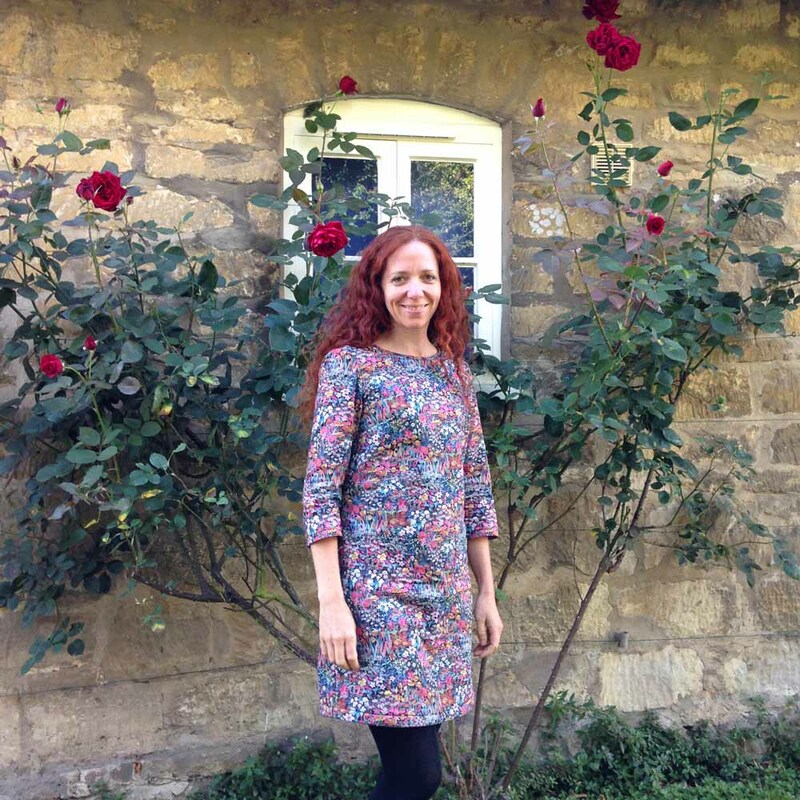 It is a simple yet chic shift dress which is easy to sew. It’s really comfortable to wear at any time of the year. To make this suitable to wear in the English autumn and winter, I’ve lined it in fleece which is sandwiched between two layers of Liberty Tana. I’ve lined the sleeves with plain Tana too. 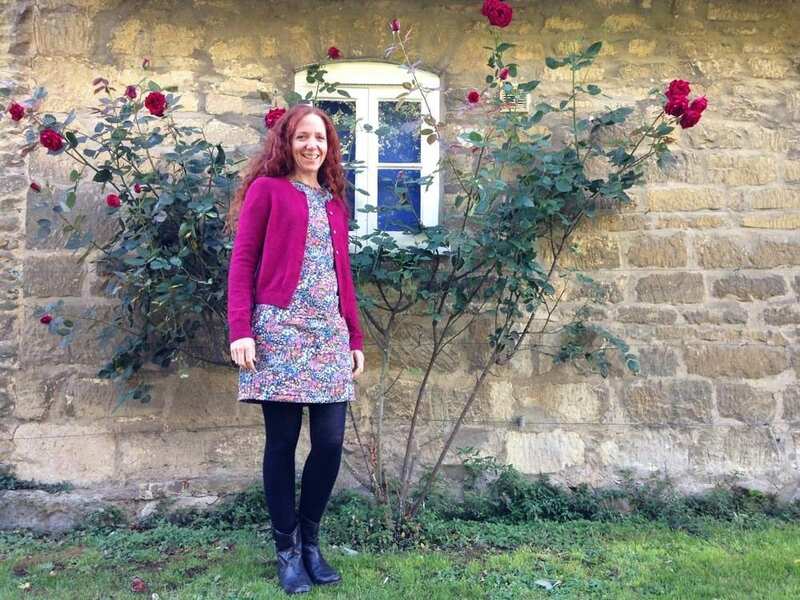 The finished dress looks great but is still cosy and warm. 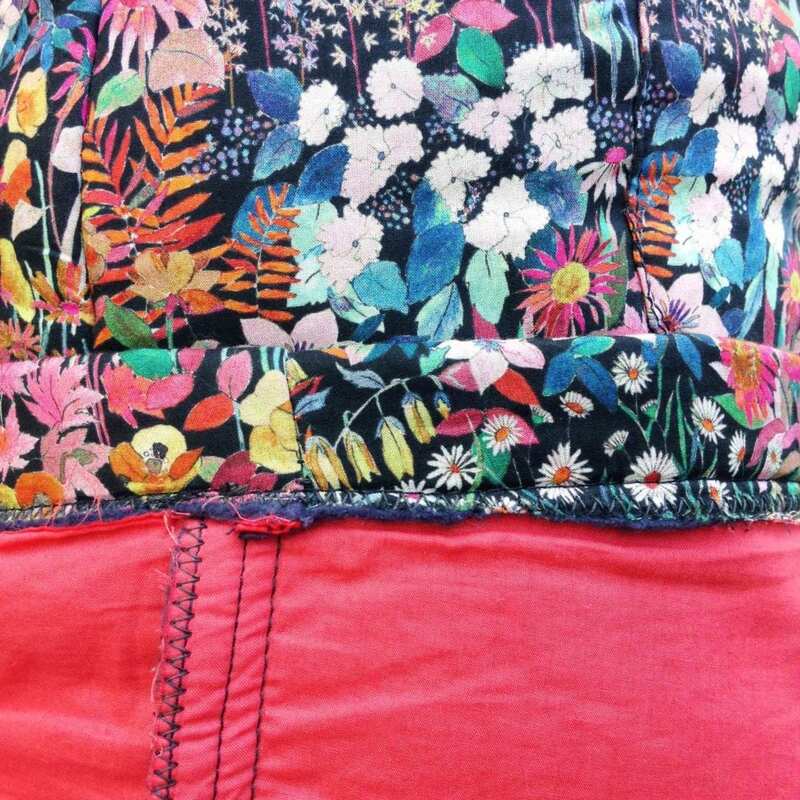 The finishing detail of the dress can be seen below. I’ve zig zagged the raw edges to stop fraying. 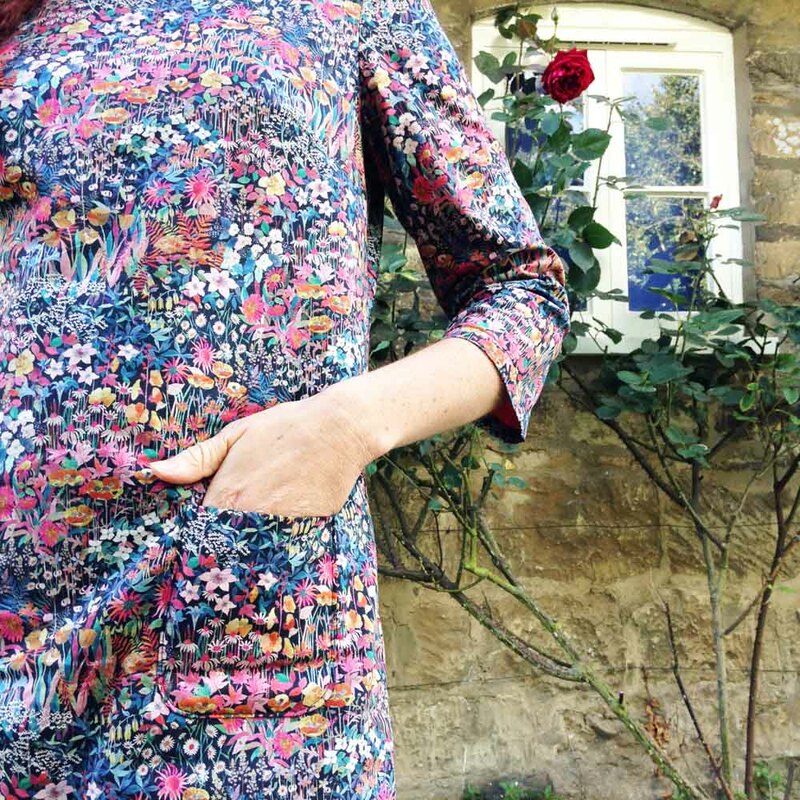 The fabric for the Floral Liberty Dress: I’ve made the dress from Faria Flowers which you can buy here.